Sweden is preparing for the eight and final season of Game of Thrones by gearing up to protect themselves from spoilers. Local streaming services Telia Play and HBO Nordic have created an easy to use Game of Thrones Anti Spoiler-kit for fans. 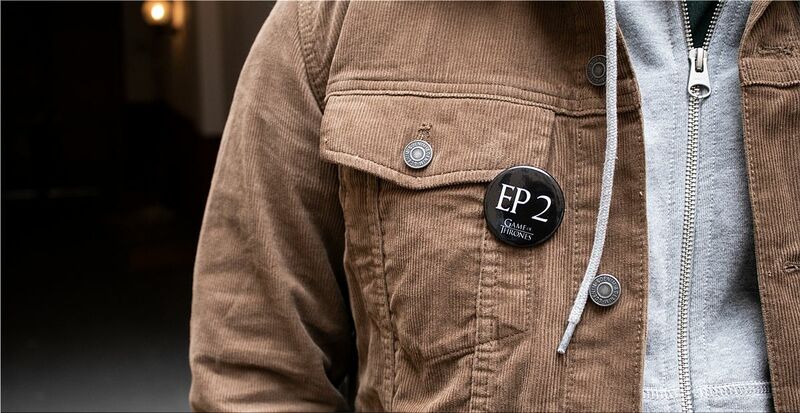 The kit consists of pins numbered after each of the six final episodes. 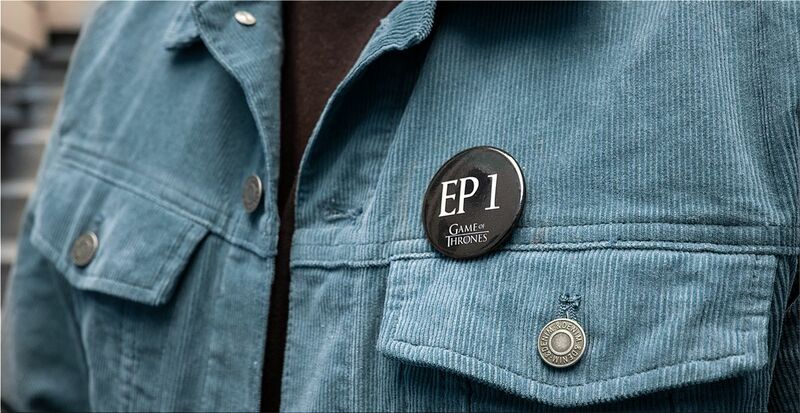 Fans of the show are encouraged to wear the pin with the latest seen episode in order to show friends, colleagues, and classmates what they can say, or can’t say about Game of Thrones season 8. This because not everyone watches the show at the exact same time. 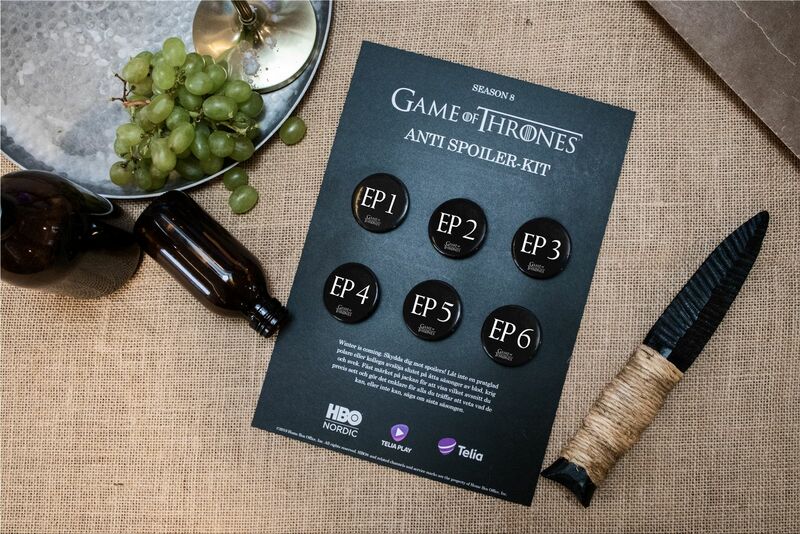 Kits are distributed in Telia stores all over Sweden and can also be downloaded online together with a set of anti-spoiler commandments and other digital assets. Newer:Orbit "Fight tooth decay by chewing sugar-free gum." Older:Über Leben Foundation "Human heart. Out of stock!"